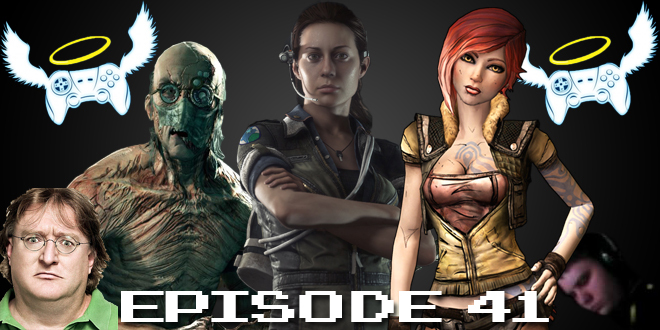 The Gamesmen, Episode 41 – Post Extra Life | The Gamesmen- What role will YOU play? Join Amras89 and Hardlydan for game talk and fun! This time, The Gamesmen talk about their experience during Extra Life, the Gabe Newell death threat, Xbox free music streaming, possibly getting a refund off of Drive Club, and the Super Smash Bros. Nintendo direct. Games discussed are Sherlock Holmes: Crimes and Punishments, Outlast, The Witcher 2, The Elder Scrolls V: Skyrim, Mario Kart 8, Grid 2, Alien Isolation, Amnesia: A Machine for Pigs, Borderlands, Borderlands: The Pre-Sequel, Civilization: Beyond Earth, and Elite Dangerous.